What subject do you start a blog about? There's no point in blogging about something that nobody else is remotely interested in. Then there's the issue of traffic. It's all very well having an amazing blog that's full of fantastic content - but if nobody is actually reading it then I'm sure you'll agree that it's all a waste of time. It's easy to become a blogger - but becoming a successful blogger is often a different story. 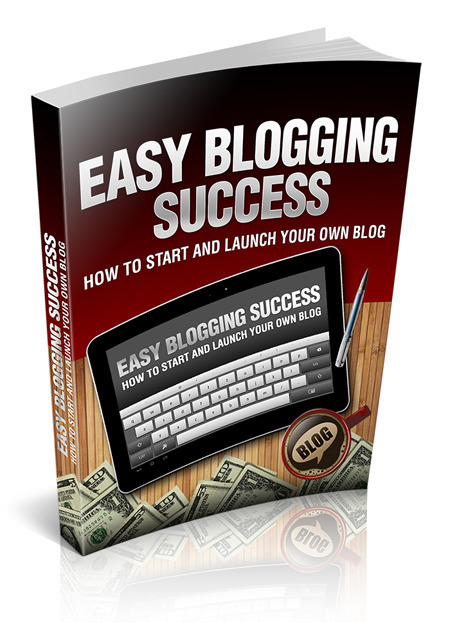 Inside this report you will learn how to start and launch your own successful blog. What's more, I've tried to make blogging as simple and straightforward as possible, with practical advice that you can start implementing today. Installing and setting up a Wordpress blog - step-by-step. How to come up with ideas for blog content - and how to write engaging posts that keep your readers coming back for more.